Hello! I'm so happy that you're visiting today! 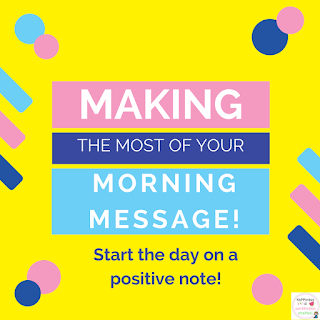 Starting off the morning in a positive and supportive way helps students feel comfortable and accepted throughout the school day. Every morning after morning exercises, we head to the rug for our Morning Meeting. The Line Leader chooses the greeting (after I model several possibilities at the start of the year). 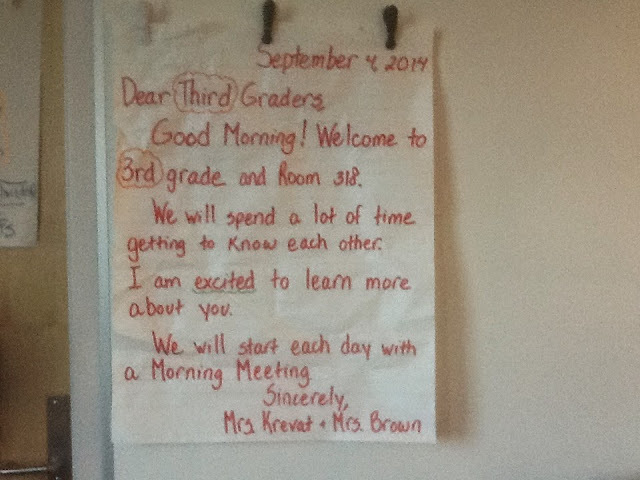 We share our answers to the question that is on the Morning Message. We play an "I have, who has?" 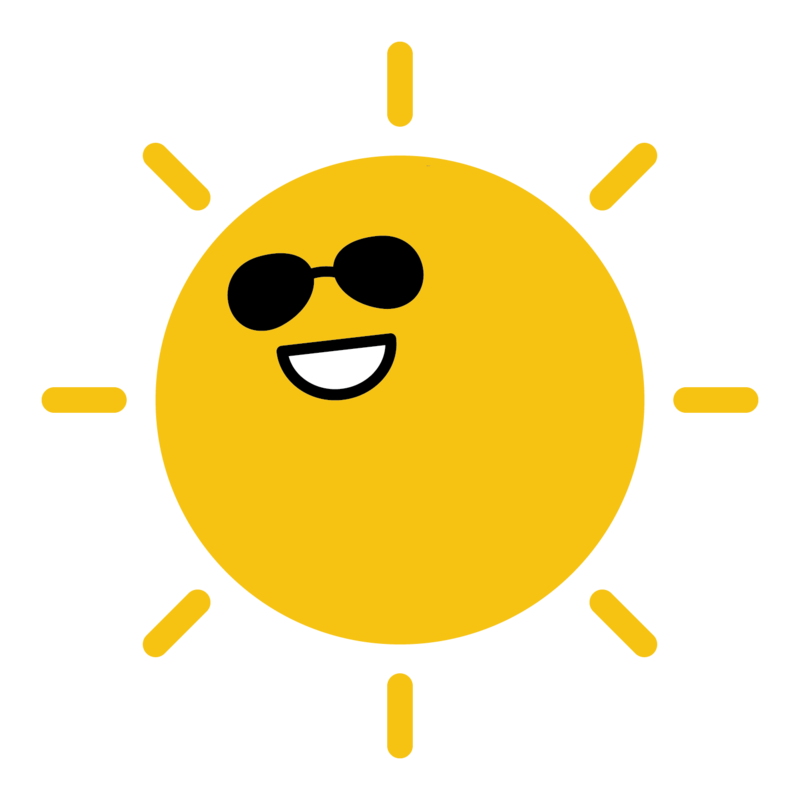 game that reviews what we are learning or have learned. The last part of the meeting is reading the message together. 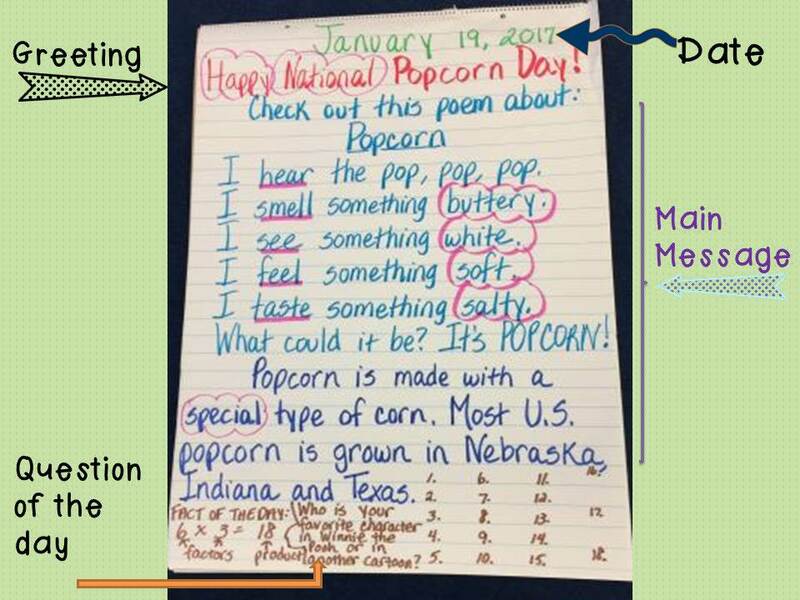 Click on the book to read more at Responsive Classroom. I copied these first two messages right out of the book! After a while, I felt comfortable enough to expand and developed my own style. 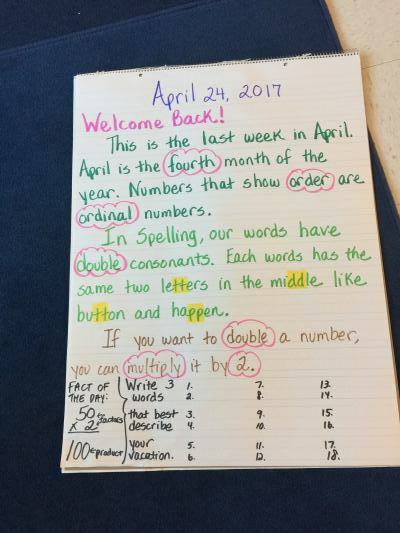 My students struggle with multiplication facts so I added a "Fact of the Day" section. 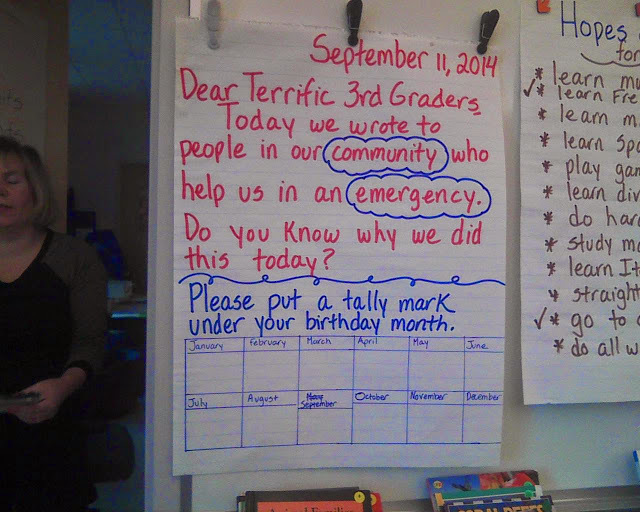 I try to make every message reflect what we are learning that week. 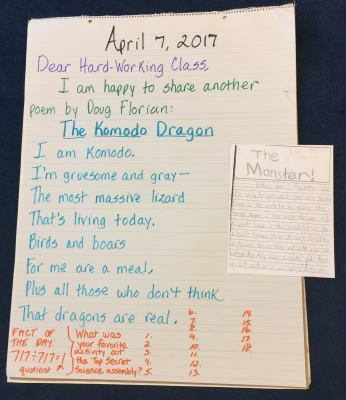 Some weeks I'll have a theme like "Reptile Week" or "Doug Florian Poems." Other times I'll look on Checkiday to see what holidays are happening or I'll just use our Spelling words to write a message. 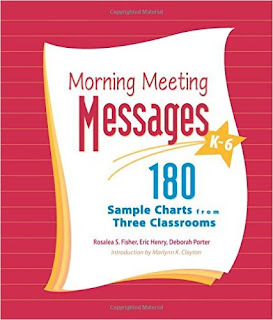 Do you use Morning Meetings and/or Messages in your classroom? Would you like to learn more or see more examples? Check out my Pinterest Morning Message board here.